don´t match. Or the "D" in the Dave Stieb signature, the bow or curve is quite unusual. I am afraid to say it, but I have serious doubts that these signatures are authentic. Possibly authentic baseballs of the blue jay team are currently on offer for approx. 90 USD. Replica baseballs sell for around 30 USD. There is no measurement for the sentimental value you might attacht to the item of course. Stamped facsimile signatures. Signatures are not authentic or original. 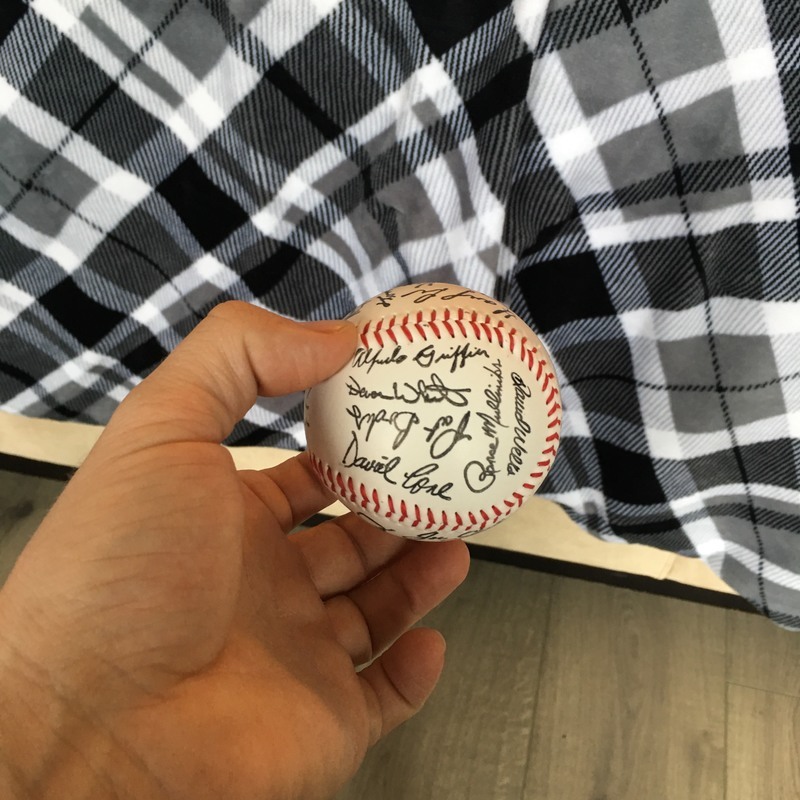 Signatures are stamped onto the baseball. Sold as a souvenir baseball. PRICE RANGE: $10 to $15.